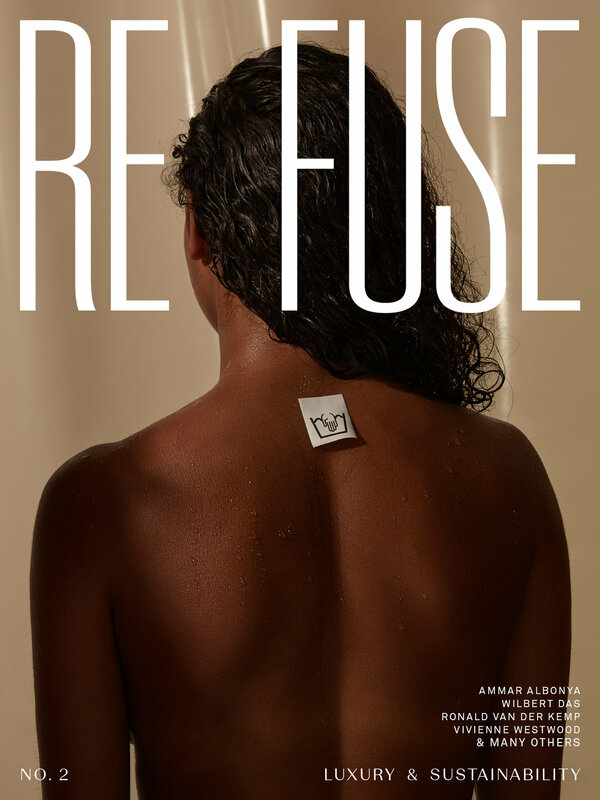 RE FUSE Magazine is a non-profit magazine initiated by Olfa Ben Ali. RE FUSE is an avant-garde glossy that hijacks the traditional language of fashion magazines. RE FUSE is on a mission to strip this medium back to its bare essentials and use it to stage a creative protest that reflects our own “crisis” of prejudice and intolerance. RE FUSE will be the voice for the unstoppable flow of trends and styles coming out of global hotspots as diverse as Aleppo, Ramallah, Baghdad, Mogadishu, Athens, Amsterdam and New York. order to address cutting-edge and ever-changing social issues. It is time to look closer. RE FUSE is the voice for the unstoppable flow of trends, styles and mindsets coming out of global hotspots as diverse as Aleppo, Ramallah, Baghdad, Mogadishu, Athens, Amsterdam and New York. Want to contribute to this voice? Click here. You can help support our message by buying the magazine for yourself, and/or as a gift for others. Volume 1 & 2 are available.